I only lived in Trondheim for six months, but now it’s a place a continue to return to, so I’ve become well-acquainted with the Trondheim hotels and accommodation! 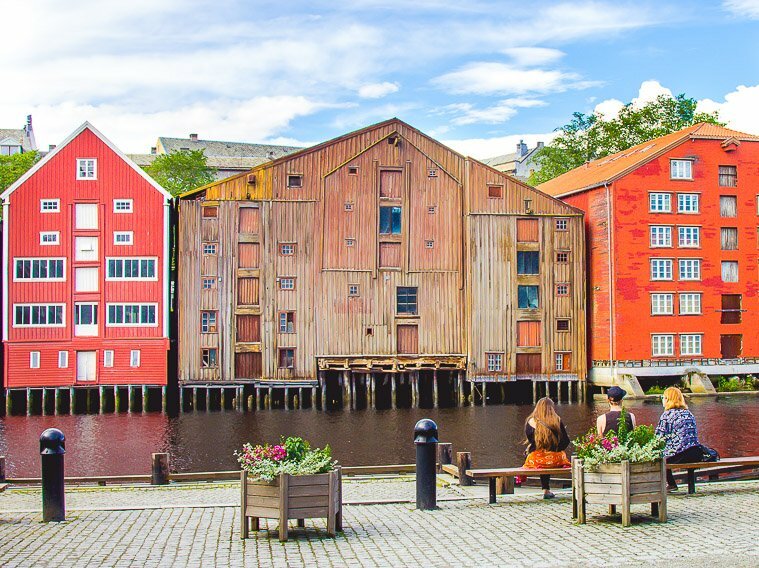 Trondheim is a really laid back student city, and you can walk to all the main downtown sites and get the bus or tram everywhere else, so if you find good accommodation in the city center you’ll be all set. 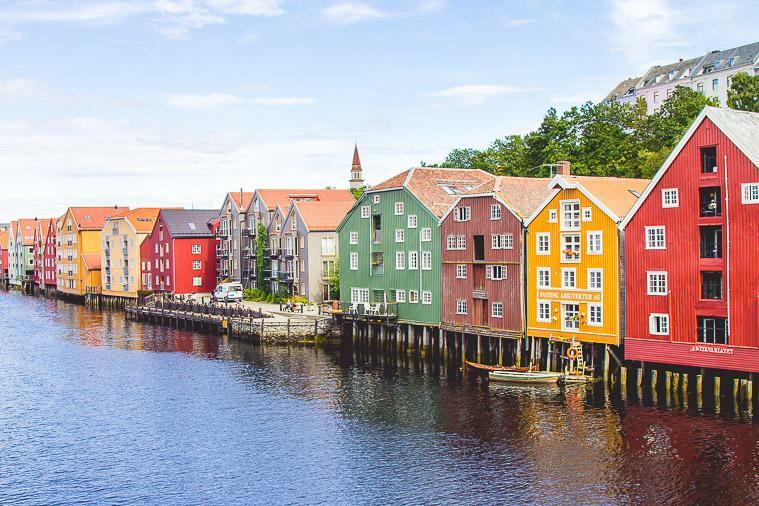 Trondheim has some really cool mid-range and luxury hotel options for visitors, but there are also a few options for people on a tighter budget. 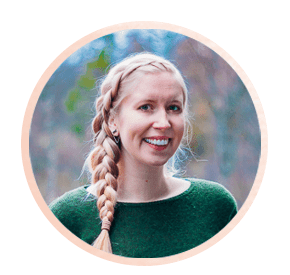 So I’ve created this guide to the best Trondheim hotels and accommodation to make your stay in my old home as leisurely and convenient as possible. When I first arrived in Trondheim I was on a really tight budget, but luckily it wasn’t too difficult to find some affordable accommodation (at least, affordable for Norwegian prices!). This hostel is near my old neighborhood, so I actually had a lot of friends stay here while I lived in Trondheim. It’s super clean and organized with comfy beds, and offers the cheapest 4-bed dorm I’ve seen in Norway. It’s about a 20-minute walk from the main train station (or you can catch the bus from the station) and you can walk up the hill a bit from the hostel for a really lovely view over the city. Oh and also, the WiFi here is really fast! All Trondheim hostels are expensive when you compare them to hostels in other parts of Europe, so another good budget option is Airbnb, where you can get a private room starting around 280 NOK. Plus if you sign up for Airbnb with my affiliate link then you’ll get 350 NOK in credit – so you can stay a night in Trondheim for free! Airbnb is actually a really good accommodation option for any price range in Trondheim, as you can get some really unique places with added amenities, like this charming flat in Bakklandet, this beautiful apartment near the centre, or this huge place only 10 minutes from the train/bus station. When two of my friends visited me they actually found an amazing Airbnb just a few houses down from my apartment, which was really convenient since my place was too small for all of us. If you’re visiting Trondheim on a budget but don’t really want to stay in a dorm room (um, I’m right there with you!) then there are a few good mid-range and boutique hotels in Trondheim. Note: As accommodation in Trondheim (and all of Norway) tends to be really expensive, mid-range hotel options almost always fill up really quickly. If you want to get a good hotel deal book quickly! The Best Western Chesterfield Hotel has an amazing location right downtown – in the heart of the shopping streets – and 200 meters from the main railway station. Like, you’re not going to find a better hotel location than this in Trondheim, just saying. It’s also super affordable, and I really like the old hotel decor, especially the giant leather couches in the lobby – it’s a little warmer and cosier than sterile ultra modern hotels. The breakfast is also really good with traditional Norwegian staples like brown cheese and smoked salmon. This is usually my top recommendation for friends visiting looking for an affordable mid-range hotel in Trondheim. This little hotel is right next to Trondheim’s famous Nidaros Cathedral (don’t worry, you don’t need to be on a pilgrimage to stay here!) and it has a great sense of history. It’s also right down the street from Bakklandet, the old neighborhood of wooden houses and wharfs that is my favorite place in Trondheim. So this is definitely one of the prettiest locations for accommodation in Trondheim! The breakfast buffet has a huge variety, and the rooms are simply but very comfortable. I’m actually not sure why this bed and breakfast isn’t more expensive – it’s a really great bargain for Trondheim! Located right down the street from Trondheim’s main square, the City Living Schøller Hotel is in easy walking distance to all of Trondheim’s main sites and the main railway station. The rooms are spacious and there’s even a communal kitchen and laundry, meaning you can live like a local (and save a lot of money on food – eating out in Trondheim is expensive!). This one is a really good choice if you want to be able to self cater, plus it feels like a luxury hotel but at a really affordable price (again, I’m not sure why this one is so cheap, but I’m glad it is!). 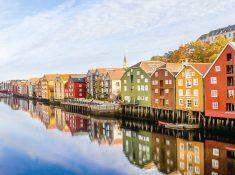 Trondheim is a beautiful seaside city, and it has some truly beautiful luxury hotels. And seeing as hotels and hostels in Norway tend to be more expensive than other places in Europe anyway, it kind of feels like you might as well splurge a little on accommodation, you know? Okay, so I’m not usually a fan of Scandic hotels (they’re often so ugly!) but this one is really nice! It’s right by the train station, so in easy walking distance to the main railway station and down the street from Bakklandet, the prettiest area of Trondheim. The Scandic Nidelven is also a popular breakfast place even for Trondheim locals, so if you stay here you should definitely take advantage of the amazing breakfast buffet! It’s actually been voted Norway’s Best Breakfast for 10 years running now. I know, I can’t believe I’m adding another Scandic to this list! But this one is really lovely, and a bit smaller boutique style hotel. It’s also located in Bakklandet, which really is the nicest area of Trondheim. I don’t know how Scandic managed to scoop up the two best hotel locations in Trondehim, but they did. From the hotel you get a view across to the old wharfs which are just so, so pretty! While the Scandic Nidelven is conveniently near the railway station, I think the Scandic Bakklandet has a much prettier location and views, so it would actually be my top choice for a luxury hotel in Trondheim. 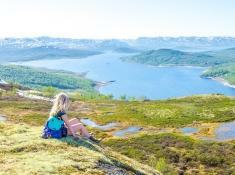 There are so many incredible things to do in Trondheim! To get started, try booking a customized tour with a local guide. You can check prices and availability here. 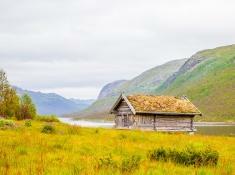 I am planning a trip to Norway next month. Will definitely give a visit to Trondheim. 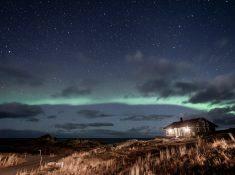 Even for a single night, but definitely, I am visiting it. All thanks to Silvia. Hm Oslo is really way too far south to have a good chance of seeing the Northern Lights. If you are really lucky then maybe you can catch a glimpse of them (in which case if you go to a park it should be dark enough), but it will totally depend on if the lights are appearing farther south that day or not. Otherwise you would really need to fly or take a train up to at least as far north as Bodø.